Since 1955 AMBUCS has supported students in therapy-related fields with a total of over 8 million dollars in educational scholarships. We are dedicated to the idea that investing in the education of a therapist has power to touch the lives of people with challenges to mobility and independence exponentially. 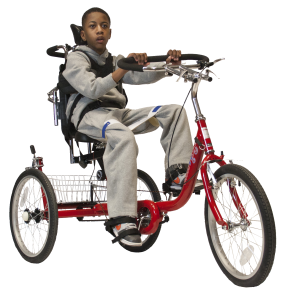 We are always looking for students interested in doing graduate-level research employing the Amtryke adaptive tricycle and accessories. The Amtryke can also provide an excellent class or group project for therapy students. Many programs demand charitable or volunteer hours and this option will also function as a strong team-building exercise.